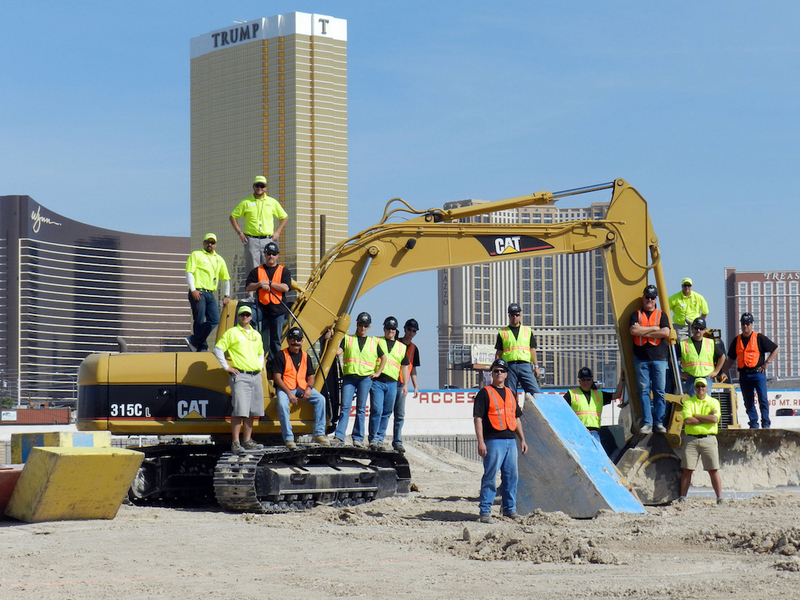 In Las Vegas we dug, pushed and lifted our way to a great deal of fun on Dig This’s massive 315C Excavators recently. We cannot imagine any way to have more fun in Las Vegas with your clothes on. After a safety orientation and warm up, we took the controls while our Dig This instructor guided us through a series of three exercises including building huge mounds, digging gigantic trenches, stacking 2,000 pound tires and playing Bucket Basketball. We finished with The Aggression Session, unleashing our frustrations on a perfectly good car and crushing it to our hearts content with a 30,000 lb Caterpillar excavator. If you like, you will be given a can of spray paint to write your thoughts on the car then look out….destroy that thought with an orgasmic force like none other. Skip your shrink for an appointment at the Aggression Session. This is an exceptional experience for all ages–we forgot our problems for a few brief happy moments and truly regained a new sense of confidence, accomplishment and adventure. 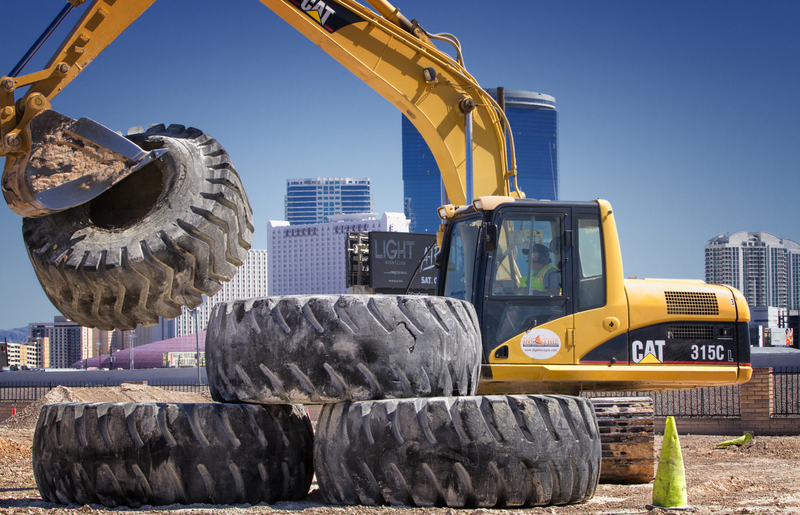 The World’s First-Ever Heavy Equipment Playground, $168.99 and up, www. 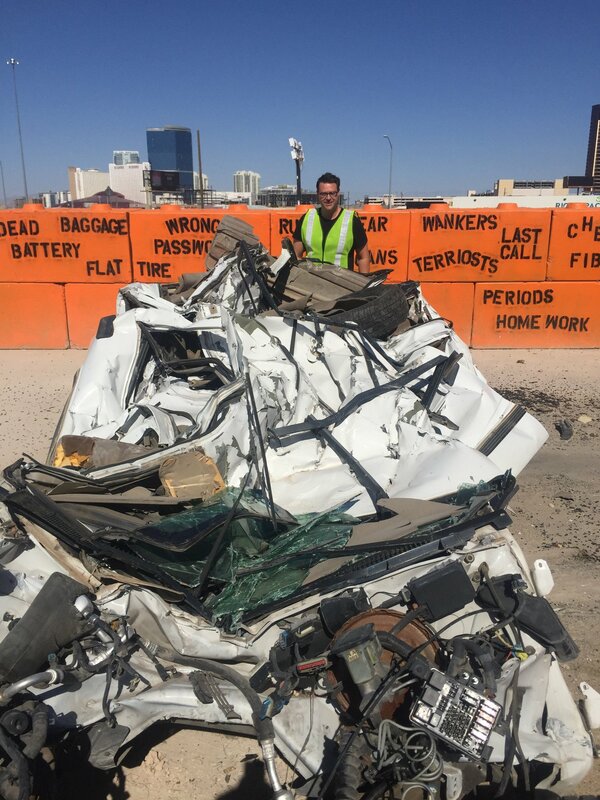 digthisvegas.com, (702) 222-4344.